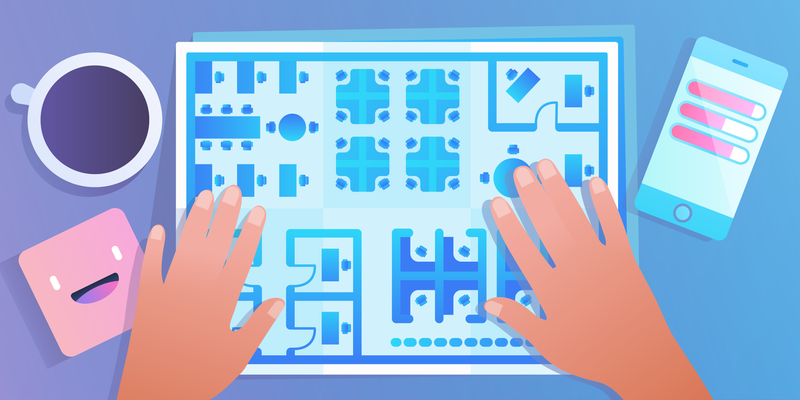 Today we are excited to announce a bunch of new Power-Ups that will allow you to customize your boards to your unique needs, integrate the apps you rely on right into your Trello workflow, and keep your productivity running at an all time high. Let’s take a look at the new Power-Ups from GitLab, JotForm, OneDrive, Egnyte, Unito, Costello, and Agile Cards. Make sharing and tracking the progress of your projects simpler with the GitLab Power-Up. 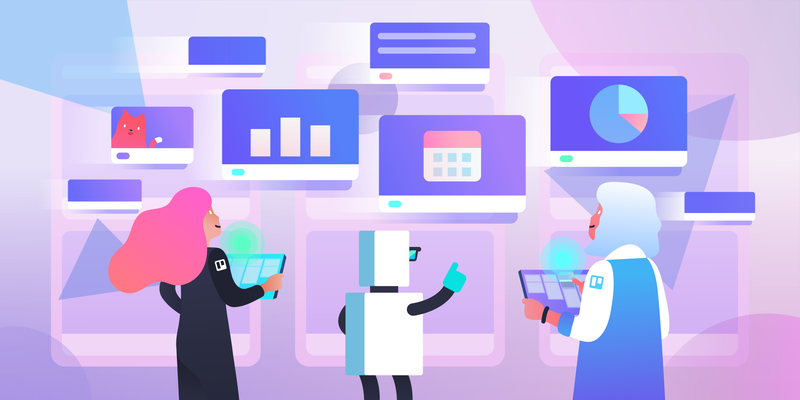 Attach merge requests to Trello cards so that product managers, stakeholders, and other non-technical team members can stay informed about the work getting done. 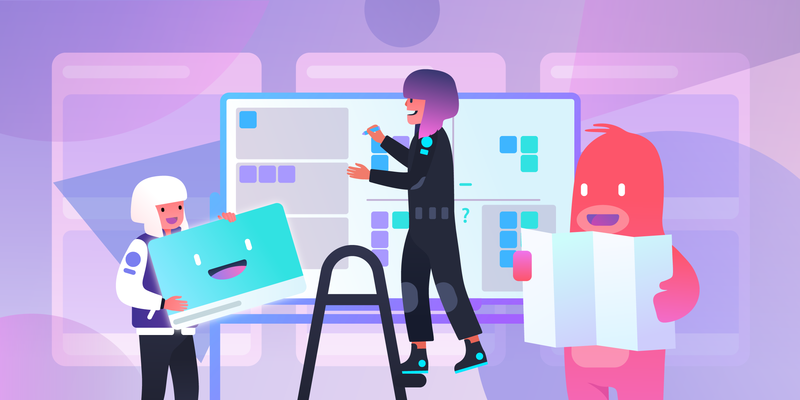 Plus, developers and code reviewers can easily get to the code they need to work on right from their Trello cards, without having to dig around searching for it. 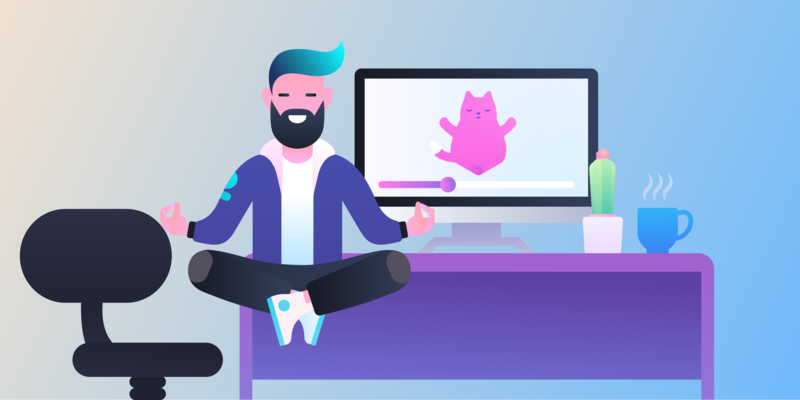 Enable the GitLab Power-Up today and bring perspective to your product and development boards in Trello. 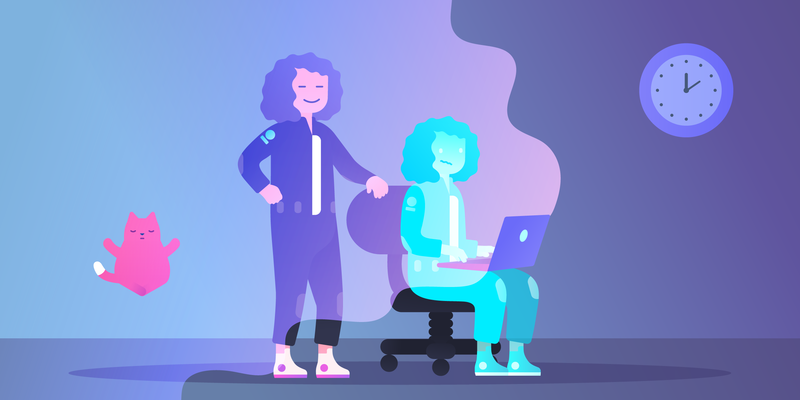 Building a great product, running a successful organization, and developing a customer base that keeps coming back means that you consistently need to get a pulse for how things are going by collecting feedback from both external users and internal employees. 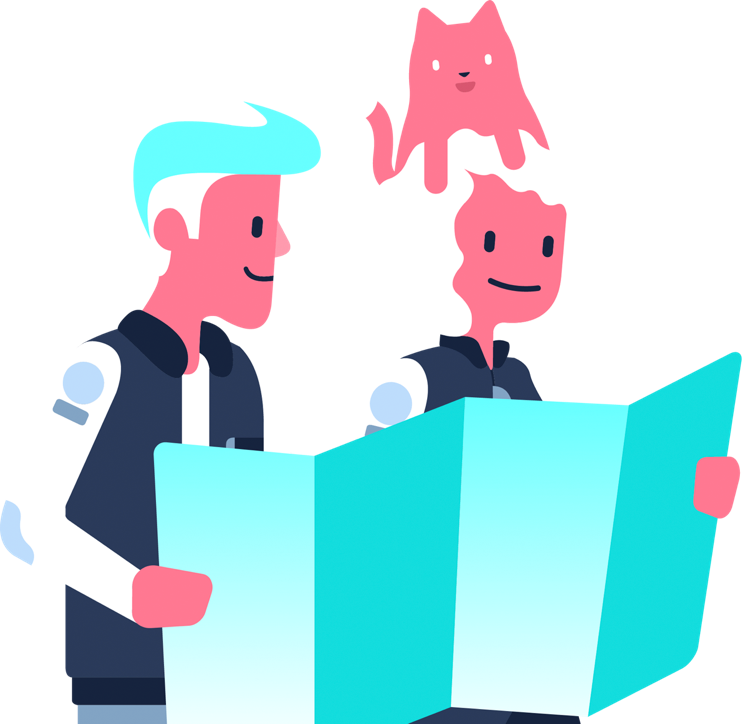 Plus, you can track form responses right from your Trello card, allowing you to take the next steps in your work once you have the information you need. Internal collaborators can also view the results, and forms can be filled out from the card as well. 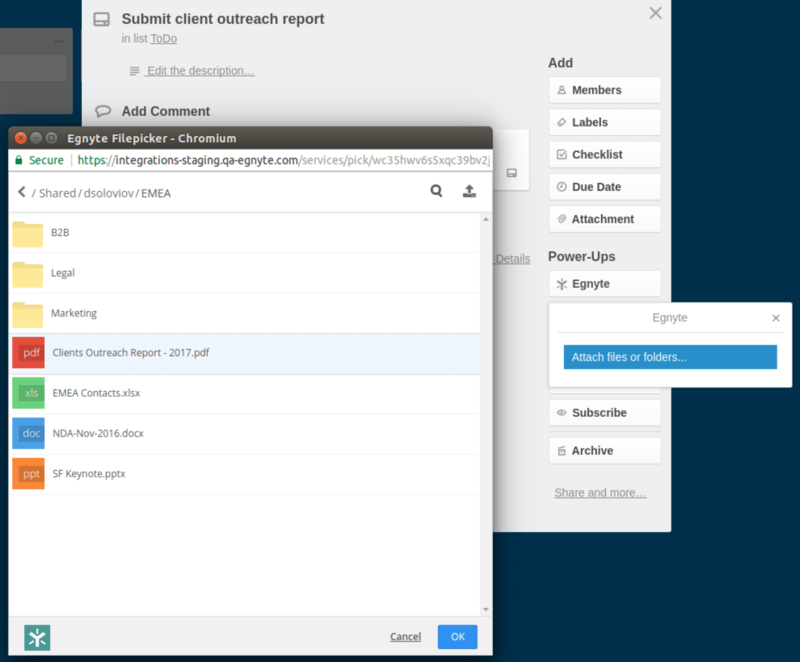 Create and attach forms to public roadmap boards to get customer input around what features to develop next. If you are planning a work event, or just want to take a pulse check of your team, attach forms to cards on Town Hall meeting boards to solicit internal feedback. 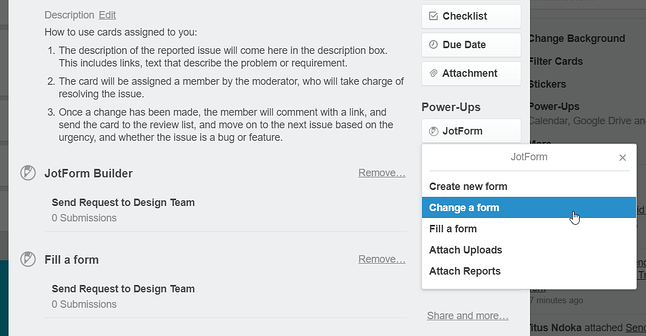 Product managers and customer success teams can use the JotForm Power-Up to organize requests and bug reports on product planning boards. Book clubs can solicit suggestions, nonprofits can get volunteer information, family members can figure out who’s bringing what for the holidays, and so much more! Connect your OneDrive documents, photos, and files to your Trello cards with the OneDrive Power-Up. Whether you’re planning a new product launch at work, or a family reunion at home, the OneDrive Power-Up lets you quickly access files, get attachment previews, and see when an attachment was last updated. The OneDrive file picker lets you easily attach files to cards, or simply copy a link to a OneDrive folder, mouse over a Trello card, and hit paste to attach a folder. 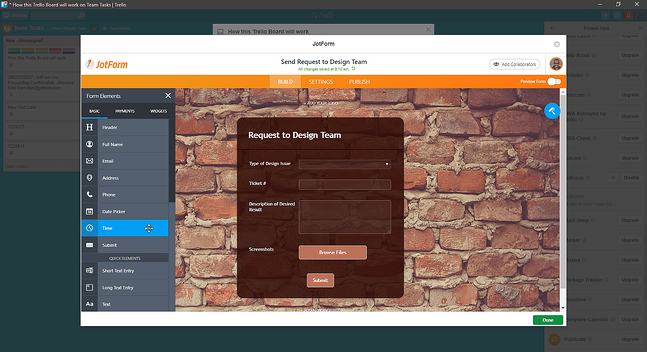 Bring content securely into your collaboration with Egnyte. The Egnyte Power-Up allows teams to seamlessly connect content between the cloud and on-premise software so that users can work with ease, and administrators get the security and compliance they need to run their business. 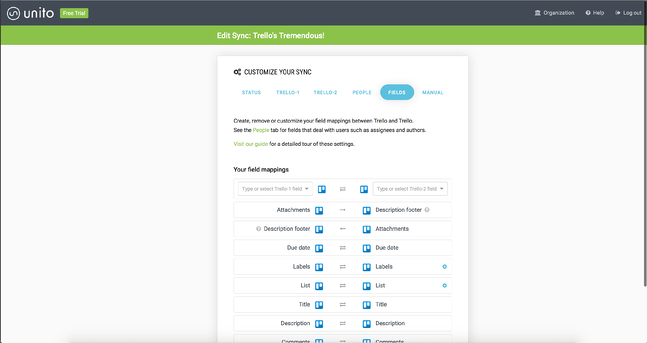 Attach files and folders from Egnyte to Trello cards to organize and collaborate on everything from contracts and legal documents, to marketing copy and blog posts. With the Egnyte Power-Up you can keep your most important files where your work is getting done. 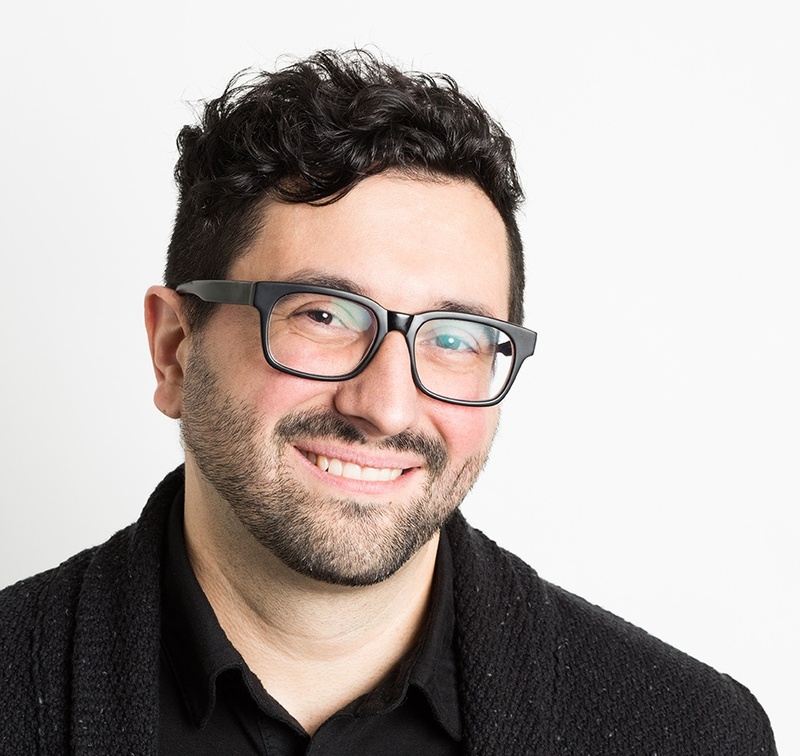 Do you find yourself working on a big project across multiple team boards?  Or perhaps you like to manage your tasks on a personal board, but constantly need to update the team board with the work you’ve done? Or perhaps you want to share some cards with an external client, but not the entire board? Well then, the Board Sync Power-Up by Unito has got you covered. 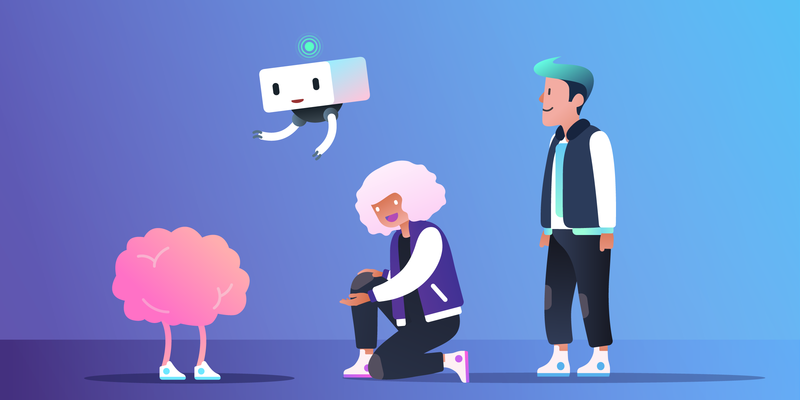 Brought to you by the same team that has created syncs between Trello and JIRA, Asana, Wrike, and more, the Board Sync Power-Up lets you sync cards from one Trello board to another. 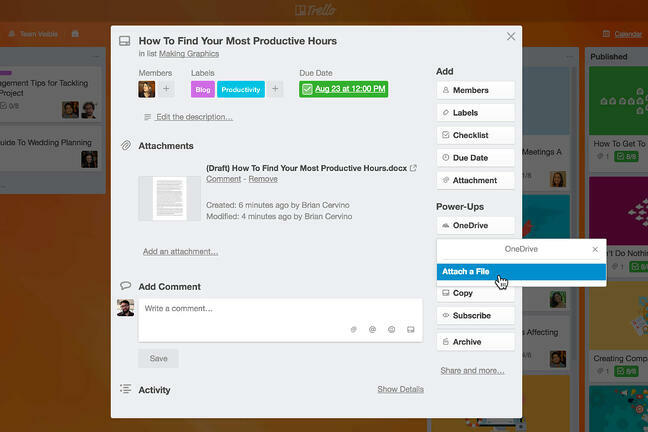 Board Sync allows you to sync comments, attachments, due dates, members, labels, and more from one card to another. Plus, you can choose whether or not to sync an entire board, or specific cards with filters. Finally, don’t worry about different workflows on synced boards, because Unito lets you map lists from one board to another so that everything works out alright. As they say, time is money. But also, making money takes time. Whether you are earning or spending, time and expenses both add up. The Costello Power-Up lets you see exactly how much all of your individual expenses are adding up. 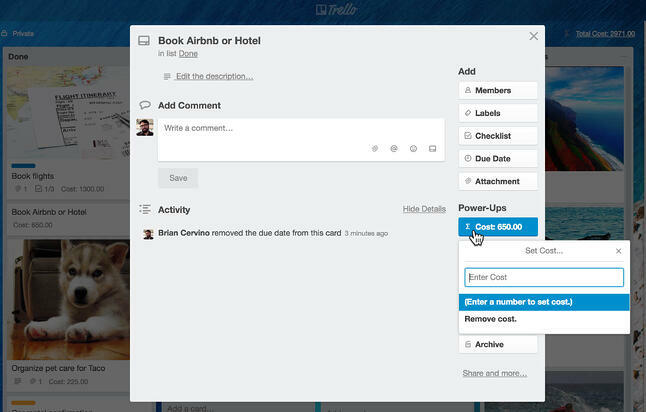 With Costello enabled on a board, members can enter in the cost of a card on the card back, and Costello will automatically add up the costs across the entire board in the upper right hand corner. Clicking the sum in the top right corner of the board will display all costs totaled up by list, and can link you to any card with a cost associated with it. Additionally, costs will display as a badge on the front of a card, so you can instantly see the costs associated with any card. While this is great for managing household budgets, planning a wedding or event, or booking a big trip, the Costello Power-Up could also be used to track and manage time. Instead of entering a dollar amount, you could enter a time unit for project projections or personal productivity management. 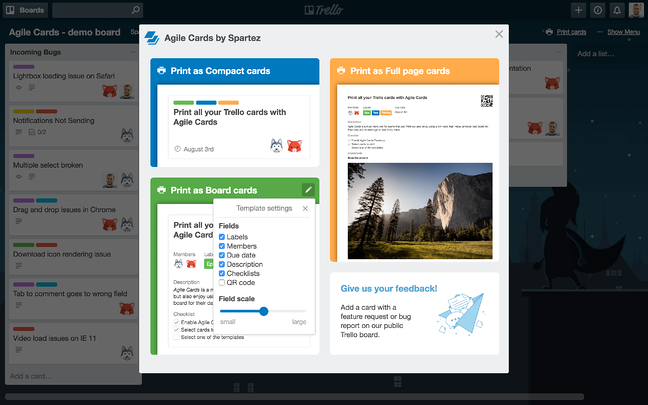 If you ever want to take your Trello cards out of the cloud and into the real world, the Agile Cards Power-Up by Spartez has you covered. With Agile Cards you can print Trello cards in three ready-to-use templates, and customize exactly which elements of the card you want to print. Whether you want to print out cards for a physical Kanban board, scratch off checklist items with an old fashioned quill pen, or create a trophy wall of tasks well done in your office, the Agile Cards Power-Up lets you select whether you want to print individual cards, or an entire board or list in a single click.